Conine Group Inc. (CO9 Group) is a family owned independent real estate brokerage firm located in Columbia near the South Carolina "Crossroads"--the intersection of I-20 and I-26. Literally hundreds and hundreds of transaction sides have closed over 33+ years with the Conine name appearing as the seller's agent, buyer's agent, or brokerage firm. More important than all the accomplishments and qualifications is simply the way the CO9 Group treats people. Our motto for many years has been "Building lifelong friendships through real estate" and we like to think that we do this by treating all people fairly and with respect. We go out of our way to carefully evaluate the level of experience of each of our clients so that we don't make the uninformed feel insecure or the well-informed feel insulted. We recognize that home buying is a very important and sobering experience--yet fun at the same time. We try to keep it in proper perspective and guide our clients along the journey at the pace comfortable to them. We think that our website is one of the easiest you will ever find to search for homes and information. Each "area" page shows the 10 newest listings for that area and the information is updated every 5 minutes. You may customize a search very easily, e.g. just by putting in a street name in the address search in the sidebar on the right side or a subdivision in the advanced search. If you wanted to see all homes in the entire area with 6 bedrooms for example, it only takes a click or two. You can save searches and get daily email alerts of new listings, price changes, and market reports. Our Interactive Map Search allows you to view properties on a map or refine your search by drawing the boundaries around the area you desire. 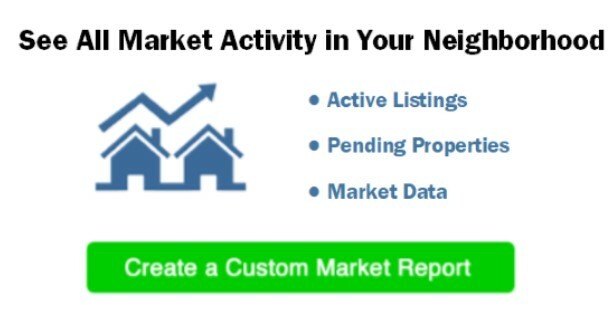 If you are curious about what’s happening in your neighborhood, you can create a custom market report to see what’s active and under contract in your neighborhood! Considering selling or refinancing your home? Contact Us for a totally free, no obligation market analysis of your home. You may decide to let us help you sell it or you may even decide to sell it without an agent (not that we recommend that), but we enjoy building good will and developing friendships. And if you want to know what fun stuff is happening in the area, just click the Happenings or Links tabs for a ton of information about goings-on in the area. We hope you have fun exploring our site and if you need any help or information, just Contact Us today to find out how we can be of assistance to you!